The situation is even worse today. Stalin’s approval rating is going up, according to All-Russia Center for the Study of Public Opinion. A March 4th report of its latest poll shows that more than half of all Russians, 53 per cent, interviewed the previous month in 100 Russian towns and cities in 40 regions approved of Stalin overall, 33 per cent disapproved and 14 per cent declined to indicate any opinion. In fact, Mr. Putin granted a legitimacy to the KGB when, after the November 2000 Duma elections, he and other party leaders in a post-election Kremlin conclave commemorated Stalin’s 120th birthday with a toast. Earlier,Mr. Putin placed flowers at Yuri Andropov’s grave in Red Square and on his monument at the onetime KGB Lubyanka headquarters. A pathetic event occurred a few weeks ago, too late for inclusion in Ms. Applebaum’s book. The Duma upper house, the Federation Council, in late January approved a bill whereby children who before they became adults lost one or both parents because of political repression were granted the status of victims and became eligible for state benefits. Approximately 150,000 people are affected by this bill. It is estimated, according to ITAR-TASS news agency, that the cost of implementing the bill will be $880,000, or $5.87 for each of the victims. I note here Ms. Applebaum’s report that in contrast the KGB hierarchs have kept their apartments, their dachas and their large pensions. And that would include the KGB torturers in the basement of the Lubyanka and the KGB monsters who policed the Soviet Auschwitzes. Ms. Applebaum is a little too forgiving about the Germans. In a recent book, “Adenauer’s Germany and the Nazi Past,” Norbert Frei, a German historian, writes that “the overwhelming majority of West Germans were clearly in favor of . . . forgetting everything to do with Nazism.” The actions of the Adenauer government from 1949 restored Nazis, even onetime Gestapo and Waffen SS members, to their former positions. Even so, the post-Nazi Germany can compare favorably with a willfully blind Russia. One of the fascinating chapters of this fine work is the comparison of the Stalinist Gulag with the comparatively paradisiacal Czarist prisons even in far off Siberia. The revolutionariesreceived favorable treatment because they were “political” not criminal prisoners. Torture was out of the question. The prisoners were allowed books, paper and writing implements and they were well fed. A photograph of an exiled Leon Trotsky shows him in a fur hat, a heavy coat, surrounded by other men and women, also in boots and furs. And if Czarist exile became onerous, escape was easy. Stalin himself was arrested and exiled four times. In fact, arrest and exile became a rite of passage for young subversionists. Even more interesting is that the Czarist political prisoners weren’t forced to work or if they did, it wasn’t too unmanageable. The Bolshevik Gulag began its expansion in 1929 when Stalin became the undisputed dictator. It played a central role in the Soviet economy. 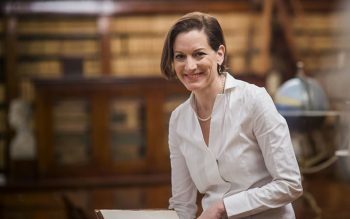 According to Ms. Applebaum, the Gulag produced one-third of the country’s gold and much of its coal and timber. While the expansion stopped with Stalin’s death in 1953, his successors allowed the Gulag to continue its inhuman existence. As World War II came to an end cameras recorded for posterity the gruesome images of the Nazi death camps, and they are played and replayed on TV documentaries but so far as we know there were no Soviet cameras around when Mr. Gorbachev, himself the grandson of Gulag prisoners, dissolved the political camps in 1987. And there are no documentaries about the Bolshevik death camps. 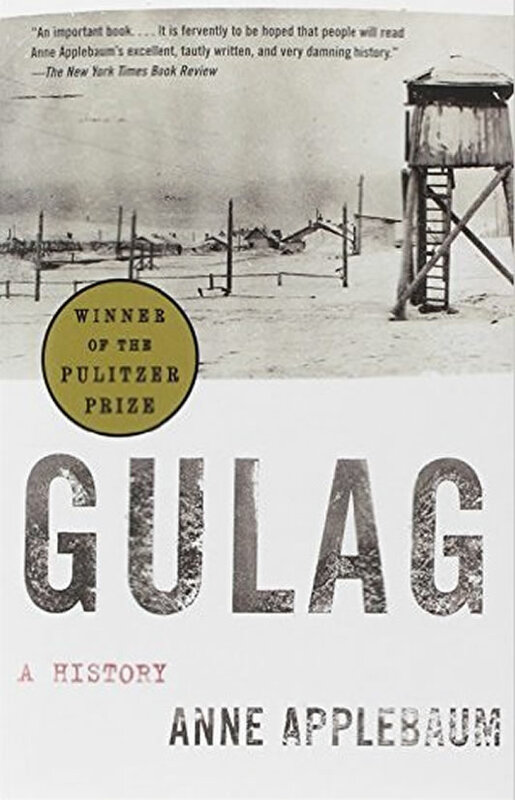 Ms. Applebaum’s book, which comes 30 years after Alexander Solzhenitsyn’s first volume of “Gulag Archipelago” appeared, is an essential volume in the history of Soviet oppression. (Gulag is an acronym formed from the official Soviet designation of its system of prisons and labor camps.) This new history is based on Soviet archives which have only become available since the fall of the Soviet Union in 1991. As such, it is a work of great scholarship. It is also a forcible reminder to the Russian people that if they and their leaders are determined to bury the Gulag, the West will remember. Perhaps, a new generation of Russians will someday reopen those archives and thus recover their lost history.